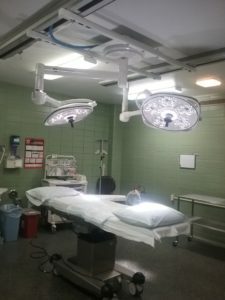 A grant from the Hansen Foundation helped with upgrades to the Goodland Medical Center, including new lights for the operating suites and emergency room. Other donors included the medical foundation. Staff members volunteered time to prepare the spaces and unpack equipment for the installation. Interest in the projects sparked increased donations to the local health care foundation and membership in the auxiliary. Keeping medical services close to home is an important quality of life and economic driver in Northwest Kansas.